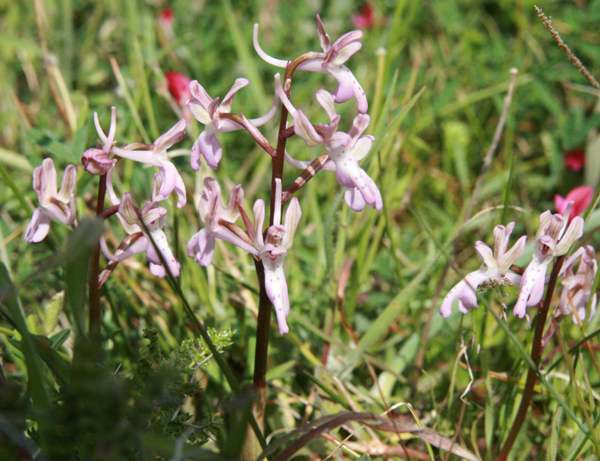 In appearance Orchis sitiaca is very similar to Orchis Anatolica and Orchis quadripunctata. Molecular studies confirm their close relationship. Identification based on the appearance (morphology) of Orchis Anatolica and Orchis sitiaca is very tricky indeed - our observation was that, of the two, Orchis sitiaca is a more robust looking plant with somewhat larger flowers. The basal leaves are more erect, and on some plants, marked with darker green spots - see below. The difference in the appearance of the flowers is more pronounced with longer sepals and a significantly longer lip which is ' folded back' making it appear much narrower when viewed from the front. 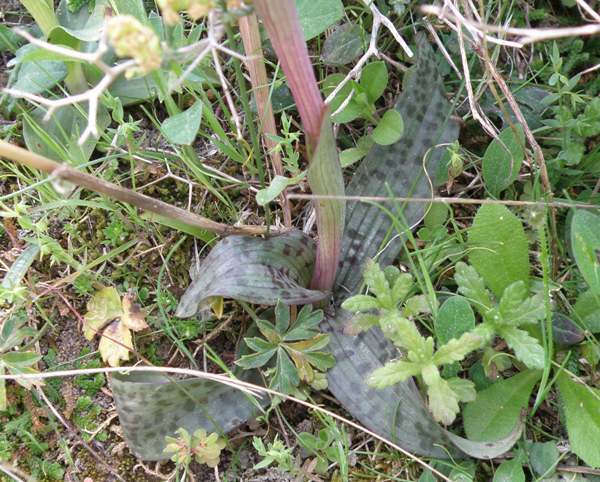 This orchid has more-erect basal leaves sometimes marked with a darker, silvery green colour. 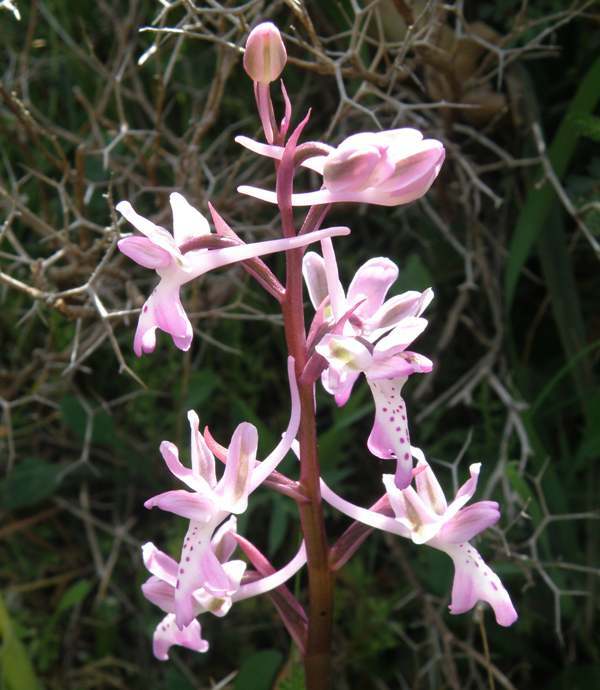 This orchid is endemic to the mountains of Crete and is both rare and localised. This orchid is tolerant of alkaline and mildly acidic conditions. 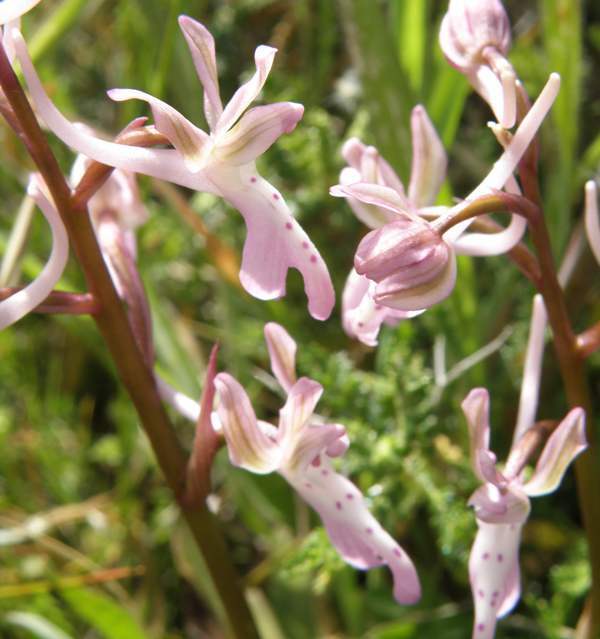 It grows in open sunshine and mid-shade in scrub and grassy areas. It flowers from the end of February through to the beginning of April. The lip of the flower of Orchis sitiaca is sharply longitudinally folded back, making it appear narrower from the front. The pictures shown on this page were taken at Spili, in Crete, in mid April.